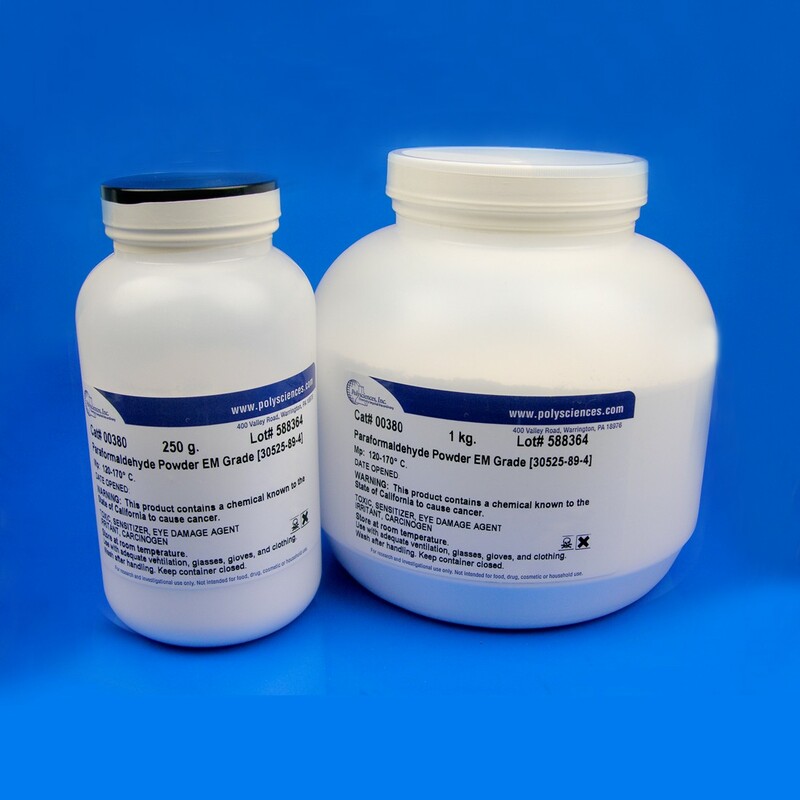 Paraformaldehyde EM Grade | Polysciences, Inc.
Paraformaldehyde depolymerizes in water to formaldehyde solution yielding consistent quality fixative solutions. To achieve a strong solution, raise the temperature of the water to 60ºC then add sodium hydroxide solution dropwise. Karnovsky, M. J. A Formaldehyde-Glutaraldehyde Fixative of High Osmolality for Use in Electron Microscopy. The Journal of Cell Biology 27, 137A (1965).